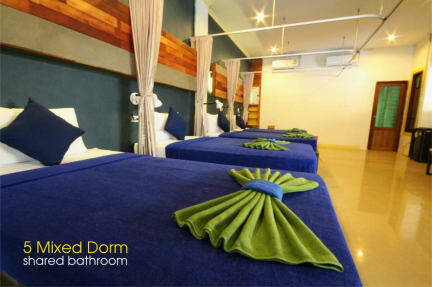 Lemonade Boutique Inn is the brand new & designed in the modern-style located in Klong Dao Beach area ( on the main road ). From here our guests can access the beach just only 90 seconds by walk. Guests will be served by our friendly & helpful staff with a quality service as our propose that to make guests feel like one of our friend or family. We offering a service with a clean & cozy room, the bed are comfortable with a variety of amenities such as air-condition, LED TV, hot shower, kettle in every private room.